The material of the double CD was recorded in the summer of 2010 during the band’s tour with Steve Hackett. The concert tour reached Russia, Hungary, Bulgaria and Serbia (in chronological order). 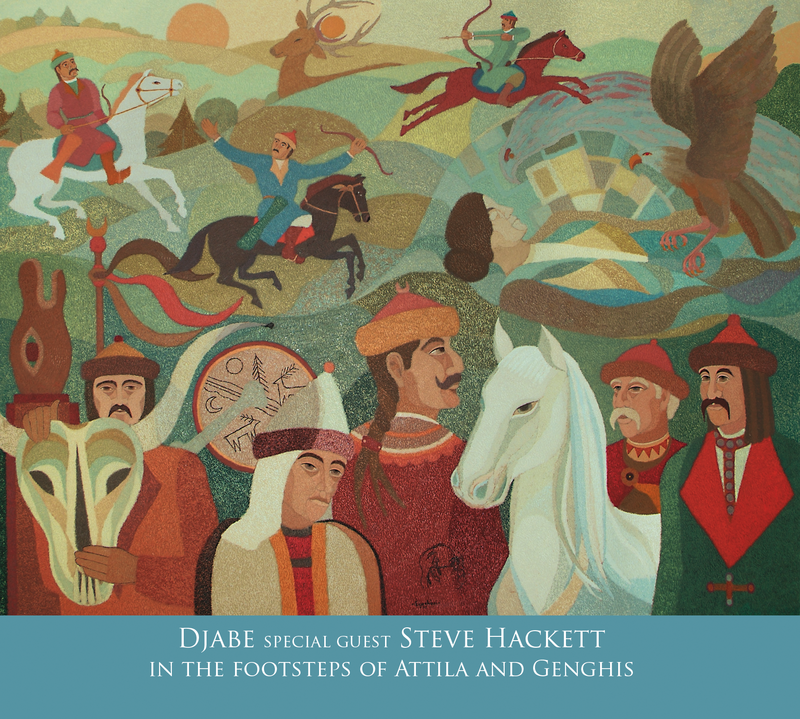 The show included Djabe classics (Distant Dance,Clouds Dance, Butterfly, Doromb, Erdő, erdő) and original compositions by Steve Hackett (The Steppes,Last Train to Istanbul) as well as hits originating from Genesis. The album features several novelties as the Hackett and Genesis pieces performed with Steve have not been published before. The new Djabe composition entitled Dark Soup has not been available at all, either. An interesting fact is that Steve Hackett was an essential participant of this composition. Other unique pieces include the compositions Pécs and Genghis’s Sword. The most curious recording of the album is the song Last Train to Istanbul by Steve Hackett, which was originally featured on his own current solo album entitled Out of the Tunnel’s Mouth. This piece had not been played live even with his own band. One reason of this might be that Ferenc Kovács, the violinist of Djabe plays a vital role in the song. However, Feri Kovács is always part of a Djabe concert, which meant that the band was able to perform this excellent piece of composition. + video a Penang Island Jazzfesztiválról: Behind the scenes, Erdő, erdő, Firth of Fifth, Malaysia Bolé!